Snapchat came out to be as one of the social media apps that offered a unique feature - stories. Users from all across the globe used this feature to stay connected with their friends. As soon as it was evident that Snapchat was growing, different methods surfaced online, helping to spy on Snapchat of anyone in the world. Though spying on someone's Snapchat was not considered an easy task. It took a lot of efforts to introduce a method that could help hack someone's Snapchat account. People made use of conventional hacking techniques to hack someone's Snapchat such as gaining access to their Snapchat password, social engineering or simply stealing their mobile devices. However, these hacking techniques only worked if you could get access to someone's mobile device easily. Since people are extremely protective of their mobile phones, it would be hard to gain access to their devices. After trying and testing out various Snapchat hack techniques, we came across a solution that helped us sneak into someone's Snapchat. If you have heard of monitoring tools then you must have a faint idea of what it can do. A monitoring tool such as Mobistealth can be used to spy on someone's Snapchat activity. Mobistealth is considered the best Snapchat spying tool. It may also be referred to as the best Snapchat monitoring tool. 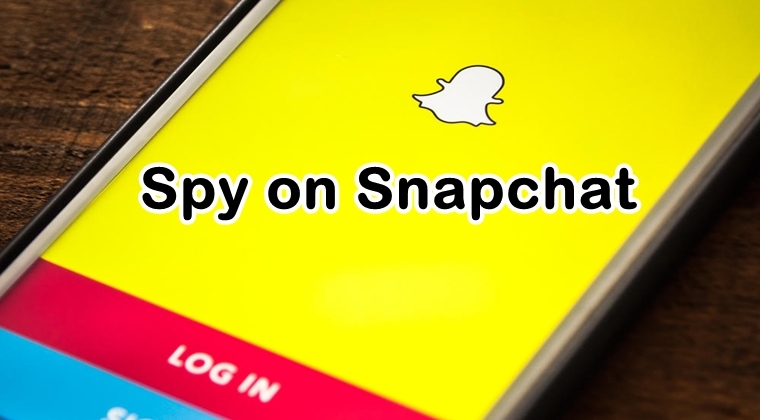 You can spy on Snapchat of anyone you wish by simply using this monitoring tool. Operating and handling Mobistealth is not a rocket science; in fact, it is really easy to use. First, you download and install the monitoring solution from its official website and then get it deployed on the device whose Snapchat activity you wish to spy on. Once Mobistealth is successfully deployed on the target's device, it will start recording all the Snapchat activity taking place in their device and then share the data on your Mobistealth online account. From this online dashboard, you can remotely monitor their Snapchat activity from anywhere and at any time. We are recommending Mobistealth to spy on someone's Snapchat because it is a credible monitoring solution. Unlike other Snapchat hack solutions you come across on the internet, this monitoring tool does not ask you to download an additional program or software on your computer or mobile device or even does not ask you to fill out any online surveys for your human verification. All you need to do is sign up for an account on the Mobistealth website and download the monitoring tool. We have thoroughly tried and tested this Snapchat hacking technique before making a recommendation. Another reason why we believe Mobistealth is a best Snapchat hack solution for you is that it hacks someone's Snapchat stealthily which means it does not allow the person to find out about it. They won't be able to know that this monitoring solution is deployed on their device and is actively recording all their device activity including Snapchat activity. Therefore, if you want to spy on Snapchat of anyone you wish without letting them know then you should seriously consider using Mobistealth for this purpose.